A gorgeous bright lemon yellow heliodor, 5.73 carats. 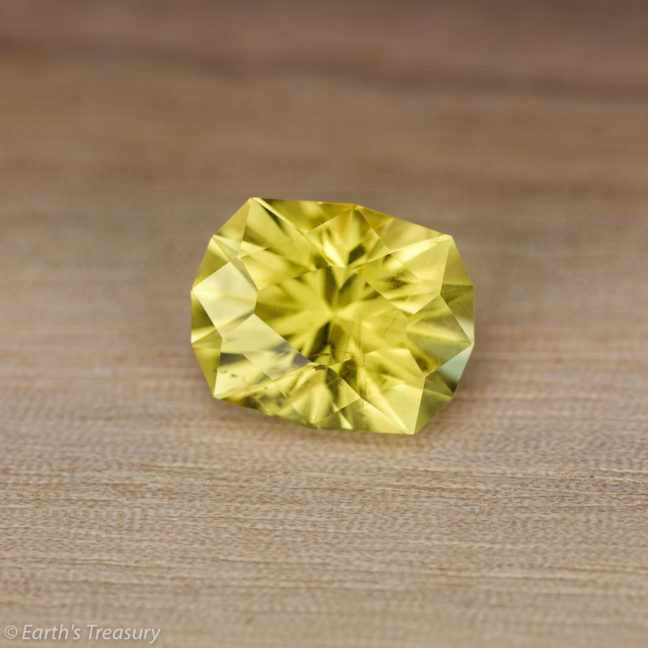 This gorgeous yellow heliodor is like a ray of sunshine on a cloudy day–so bright and lively. I faceted it from old rough mined in the 1970’s in Brazil. Unlike many heliodors, this one has not been treated in any way–the slight veil of tiny bubbles are proof that this is case, as they would rupture under the typical irradiation and heating process used to change some beryl to heliodor. 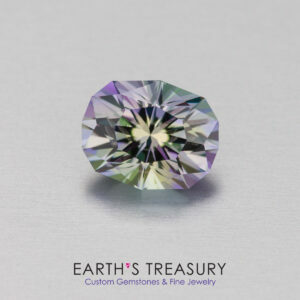 I faceted this gem in a modified version of my “Helena” brilliant oval design. The resulting gem is bright and lively in the hand, flashing brilliant lemon yellow. 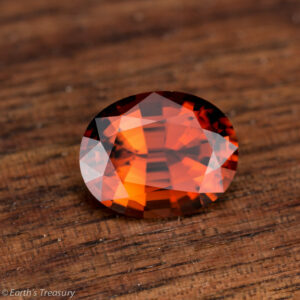 The gem is a nice size at 5.73 carats and measures 12.5 x 10.0 x 8.4 mm. 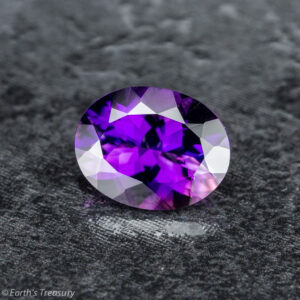 There is a slight veil of tiny bubbles, but they are not visible without a loupe–its an eye clean gemstone, and very brilliant.